In the Spring of 1995 we headed off to England for two weeks of adventures. One of our many trips was to Scotland. 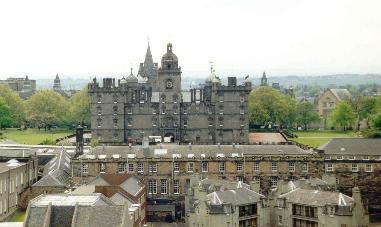 The day spent in and around the city of Edinburgh was like a trip back in time. 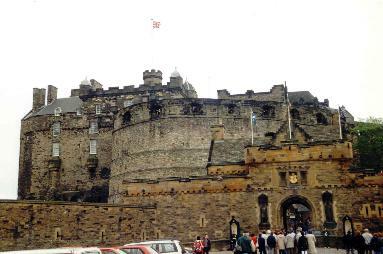 The history of old castles and some great food made for a great time. 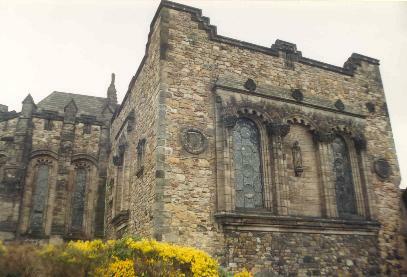 Although the sky was grey and the stone work colorless, the overall effect was colorful. Approaching the castle high on the hill. A closer view of the castle. 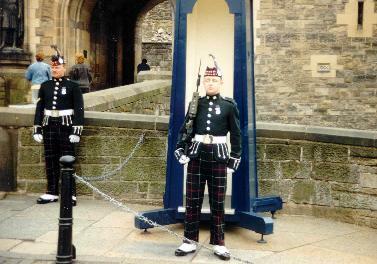 Guards in kilt patterned pants at the castle gate. An old building with spring flowers. 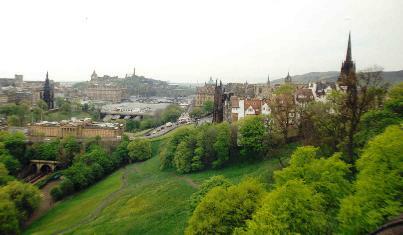 View of the city from high atop the castle wall. Another view of the city. So green and clear.